Remembering their loved one fondly can mean sharing a funny story or two. Just be mindful of the time and place; if others are sharing, then you may do so too. Feel comfortable to talk about the deceased in a happy, positive tone. 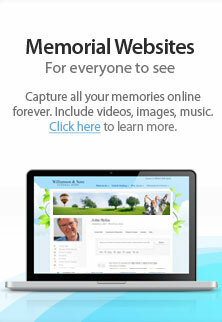 If they personally knew the deceased, it's a good idea to invite them to share in the experience. However, it is important that they remain quiet and not disturb the service. Switch it off before entering the funeral home, or select the silent/vibrate mode. Perhaps you've got special concerns about an upcoming funeral or memorial service? We're here to provide the answers you're looking for. Call us at (336) 751-1100.